Discussion in 'Growing Areas' started by tenman, Apr 2, 2019. Seeking input from others who use evap coolers for their greenhouses. 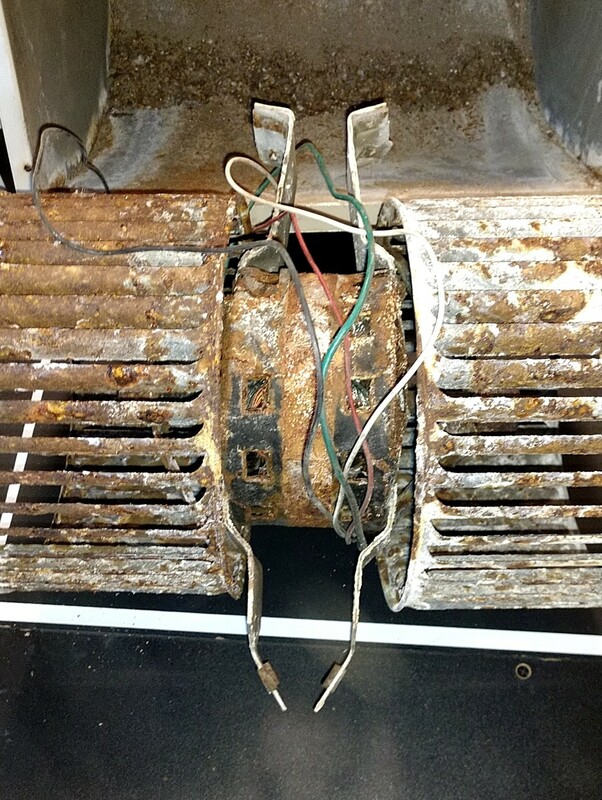 So again this year both coolers' motors are frozen up, rusted beyond repair, and I'm faced with either replacing the motors - not alway possible since they don't build these things to allow replacements - or replacing the coolers, both costly though the motors much less so. I seldom if ever get more than two years out of a cooler, here in Ohio, where I use them a few hours a day for 2-3 months, and 24/7 for 3 months or so for the summer (they are sealed and covered for the winter). The motors are usually in a sealed casing which does not permit lubricating them. How do others handle this? I'm so tired of switching out coolers or motors (only once was it possible to change the motors out which involved actually cutting through the heavy metal housing of the motor/fan system - since the motor/squirrel cage assembly was bigger than the opening through which it had to pass) to replace them then having to rebuild same, a very difficult and time-consuming process, and still expensive). A wetwall isn't a possibility and fan-powered vents codon't provide sufficient cooling power, besides which they don't work for the entire GH, just the straight path from open vent to exit fan). Back when I used them, I had a similar problem, Tennis. 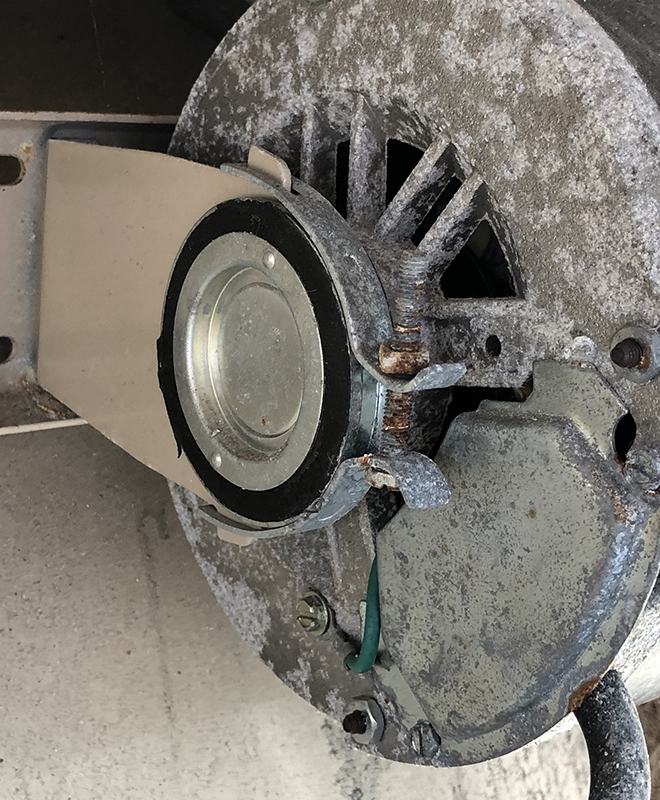 I got around that by removing the old, dead blower from the box, and using an adapter plate over the outlet connected to some large diameter, flexible ducting. That was mated to the input of another large, squirrel-cage blower that sucked the cool, moist air out of the old cooler and blew it into the greenhouse. 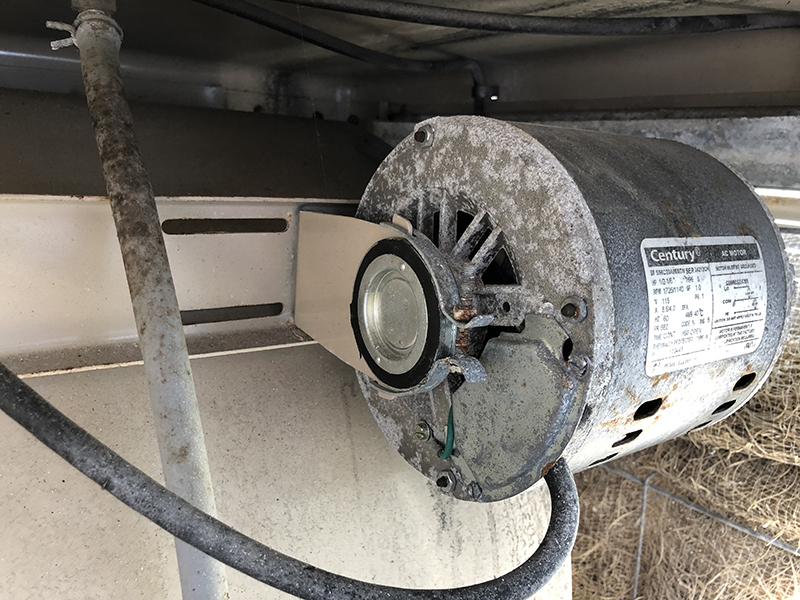 By having the active blower be outside of the cooler box, it was 1) out of the mist and humidity, 2) could be covered to keep it out of the weather, and 3) could be one with an external motor for easier maintenance. I'm wondering what brand of cooler you use. In California we really only find Essex/Champion brand. The motor for mine is $130 and has a few screws holding the motor mount on to the blower housing so is very easy to change. I have four swamp coolers between the lab and the greenhouses, but it has probably been 4 years since I had to change a motor and that was only on one of them. I use RO water and it takes about 3 years for the rust on to the shaft to build up to where the bearings freeze up. My coolers are on all year round, though in winter will go days or weeks without coming on. Have you tried starting the motor up a few times in the winter? I think these are champion, but from having had several brands I'm fairly certain the manufacturer is the same for all of them. I can't start it in the winter as it is closed up both inside the GH and wrapped up outside for the arctic conditions, and I would have to open a vent in freezing temps in order to allow air to escape the GH, and they are sealed and covered as well. One would think that the motors would be more moisture resistant, being that they are in a device with perpetual moisture flowing over them, but no. These two are a built different in that I can remove the entire motor housing assembly and don't have to actually cut through the frame to do so, but still the mounting brackets are attached between the squirrel cages and the motor and so, with the squirrel cages frozen in place too, I can't even swap out the mounts for any potential new motors. I think these are champion, but from having had several brands I'm fairly certain the manufacturer is the same for all of them. If it is a Champion (made by Essex and also sold under that name) you could just take the motor out. I just looked at the motor mount and I could get it out in just a few minutes. There are clamps on either side of the motor that take a flat head screwdriver to loosen. I include pictures of mine since they may be different that what you have. Mine have all been "window mount". Every Champion cooler I have had that is less than 10 to 15 years old has had the same motor mount. Mine has a different mounting system; this one I was able to take out the motor along with its two squirrel cages, unlike the last ones which had to be cut out. However, the mounting brackets are between the squirrel cages and the motor. The cages will not come off, so I lose the mounting brackets as well. I've never seen one configured that way. I can see what you were talking about now. I have only had ones with 1 large squirrel cage and the motor is mounted where it is independent and easily accessible.